Caption slip reads: "Photographer: Mitchell. Date: 1953-04-11. Reporter: Shirley. Assignment: Brush fire. 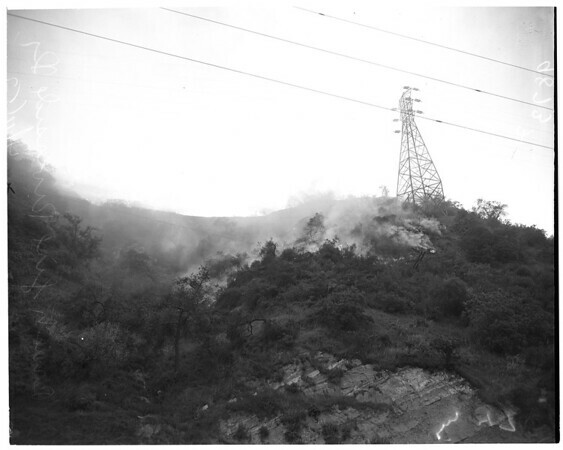 35-36-47-48: Brush fire at end of Dayton St. Bridge & Riverside Dr. in Elysian Park."